Not long ago, I had trouble sleeping because of these small, random explosions going off in my neighborhood. Each one was followed up by a litany of dog barks, some high in pitch, others low, far-carrying woofs. I fashioned ear plugs out of tissue, I tried sleeping on the downstairs couch (that would have worked but Ginger the hamster was running like crazy on her wheel), I did my best to get some sleep. I guess I eventually did albeit mostly after the barrage of fireworks that went off at midnight. That bunch of noise marked the official beginning of 2018 and although I was annoyed at knowing that I had to get up in four short hours, I couldn’t help but feel a smidgeon of excitement. A new year was starting and that meant that I could start a new list! Of all the things us birders look forward to, the year list might be the easiest one to work on, especially during the month of January. The pressure is on if you can only get certain species during the first month of the year but if you just want to add any old birds to the year list, everything is fresh! Since I’m in no big hurry to reach any number of species in 2018, my year birding is going to be a fresh one hopefully touched with a good dose of Zen. 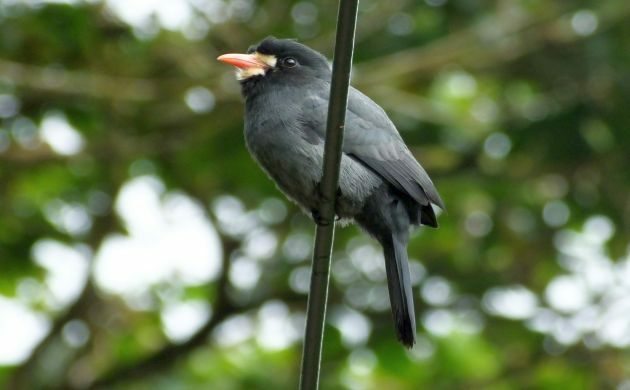 Nice to have already put White-fronted Nunbird on the Zen year list. Basically, that means that I will take whatever birds I can get without feeling frustrated. I just realized that I may have already failed at being Zen when I dipped a Lovely Cotinga the other day but it’s still early enough in the year to get back into an easy-going Zen mode. That doesn’t mean that I will ignore birds while guiding. Au contraire mon frere, my new Zen birding will be all about being in the zone. Focused on finding birds. At all times..,but especially while guiding or helping friends meet their birding goals for the year. A friend of mine mentioned just the other day that she wanted to hit 600. I want to help her reach that goal. 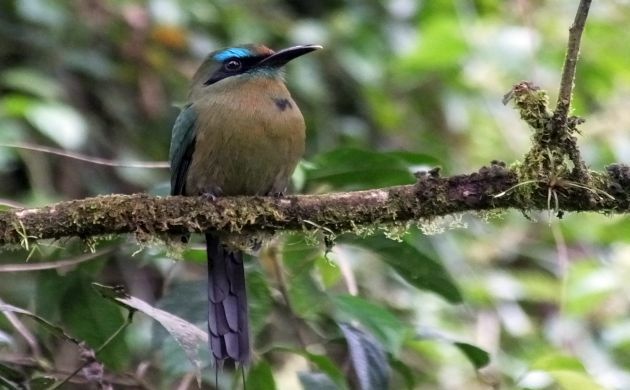 She already added a lifer Keel-billed Motmot. In the meantime, I’m still going to keep a year list and maintain said list right here at this post. As usual, most of my birding will be in Costa Rica although if all goes well, come April, there should also be a sweet set of lifers from Guatemala, hopefully including one that has a red thing sticking out of its noggin. Lifers will be in caps, other cool birds of note in bold. Here we go! Great article. I wish I would go there sometime. Thanks, I sure would love that!